We all benefit from support along the spiritual path, and that’s what you’ll find in At the Core of Every Heart: Reflections, Insights, and Practices for Waking Up and Living Free. Filled to the brim with practical insights, this is a book you’ll want to have sitting by your bedside. It’s a series of 52 essays, each with a nugget of wisdom that invites you to pause, come alive to the moment, and remember the deepest truth of who you really are. We start with what’s here: holding a grudge, believing the harsh critical voice in our minds, being stuck in feelings from the past. Over and over, we discover the unifying field of aware presence that holds everything with love. It’s the living, breathing, timeless knowing that all is well beyond our personal attachments to stories and emotions. At the Core of Every Heart skillfully navigates the paradox of this messy, emotional human life and the freedom that’s available in any moment. Right here and now, we honor everything and realize the most profound release into limitless ease, spontaneous joy, and loving celebration. 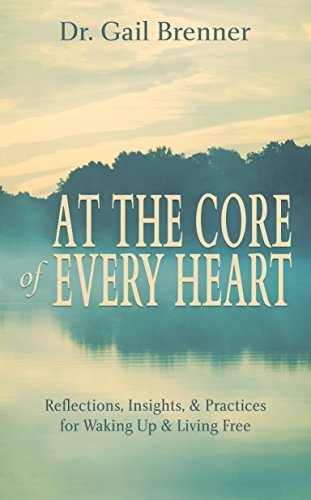 This is the Kindle version of At the Core of Every Heart: Reflections, Insights, and Practices for Waking Up and Living Free that you can also download and read on your computer and mobile phone. Kindle books are DRM protected and therefore, unlike ebooks that are in PDF or ePUB format, you cannot read this ebook without the official Kindle apps.